If a class has multiple methods having same name but different in parameters, it is known as Method Overloading. Suppose you have to perform addition of the given numbers but there can be any number of arguments, if you write the method such as a(int,int) for two parameters, and b(int,int,int) for three parameters then it may be difficult for you as well as other programmers to understand the behavior of the method because its name differs. So, we perform method overloading to figure out the program quickly. 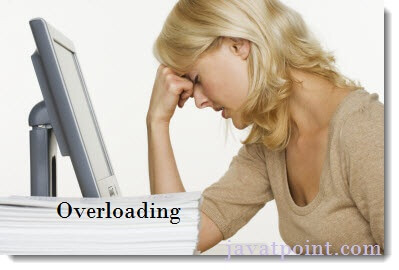 In java, Method Overloading is not possible by changing the return type of the method only. In this example, we have created two methods, first add() method performs addition of two numbers and second add method performs addition of three numbers. In this example, we are creating static methods so that we don't need to create instance for calling methods. 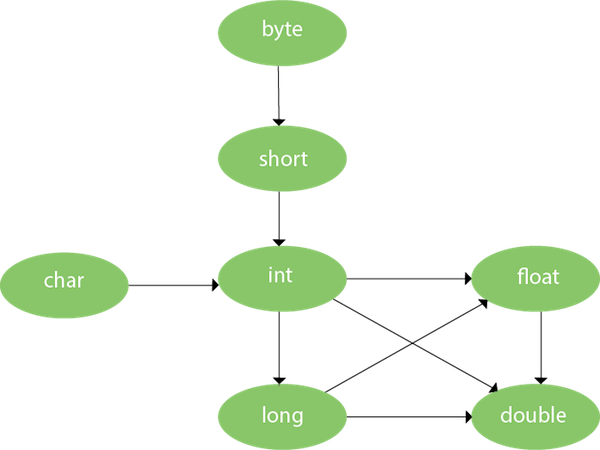 In this example, we have created two methods that differs in data type. The first add method receives two integer arguments and second add method receives two double arguments. Q) Why Method Overloading is not possible by changing the return type of method only? System.out.println(Adder.add(11,11)); //Here, how can java determine which sum() method should be called? Note: Compile Time Error is better than Run Time Error. So, java compiler renders compiler time error if you declare the same method having same parameters. If there are matching type arguments in the method, type promotion is not performed. If there are no matching type arguments in the method, and each method promotes similar number of arguments, there will be ambiguity. One type is not de-promoted implicitly for example double cannot be depromoted to any type implicitly.